Circolo Vela Arco has the best clip production of of any Club World Wide. Having the Trentino area supporting them plus the perfect scenery of Lake Garda also helps. Some of the best vids I published are from Circolo Vela Arco A-Class regattas. This time for a F18 event, won by locals Mateo Ferraglia & Lorenzo Bianchini , sailing the Australian Edge F18 / Ullman sails. Circolo needs to organize an annual International event for the F18 as they are doing now with the As. "Two days of sailing at Arco (North Garda Lake) for the the penultimate round of the season organizated by Circolo Vela Arco. Perfect conditions for these catamarans with 15-18 knots range. Sunshine and mild temperatures of late summer have complete a great package. So fast and fun, and six races completed, all those scheduled in the program by the Race Committee, that showed timely management and organization. Also at shore the club has shown throughout their hospitality. 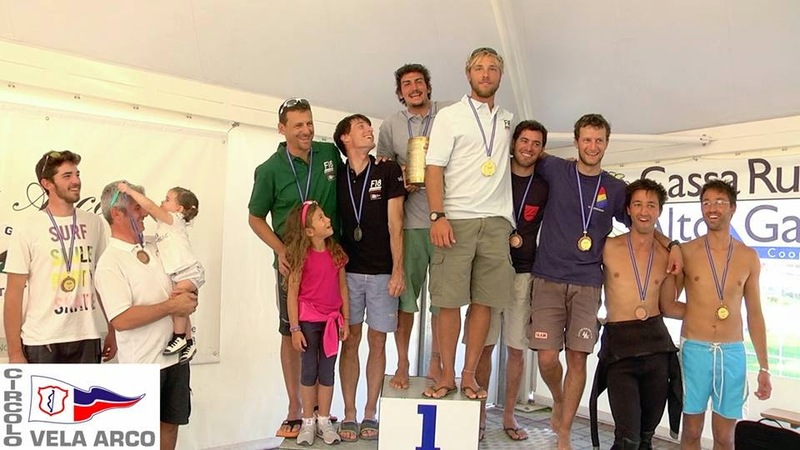 The winner are the "locals" Circolo Vela Arco Ferraglia-Bianchini, with 4 bullets lefting no chance for the others competitors, second place for Fantasia - Recalcati, already third in the Italian Championship, close to the podium Vice Champion Italian De Paoli-Cesari. As per tradition, Formula 18, are rewarded with the fourth-ranked Vettori- Pinter and the fifth, the young Andrea and Matteo Viganò. Next race of the racing season to a close in Calambrone (LI) on 4-5 October."